Energy Cut Line features a complete range of sizes and specifications for cutting steel, stainless steel and stone. Discs are available for electrical and pneumatic hand-held machines, portable cut-off machnines, angle grinders. The great cutting ability, comfort and the clean cut are the main advantages of the this wheels, making them the perfect choice for the productive worker. 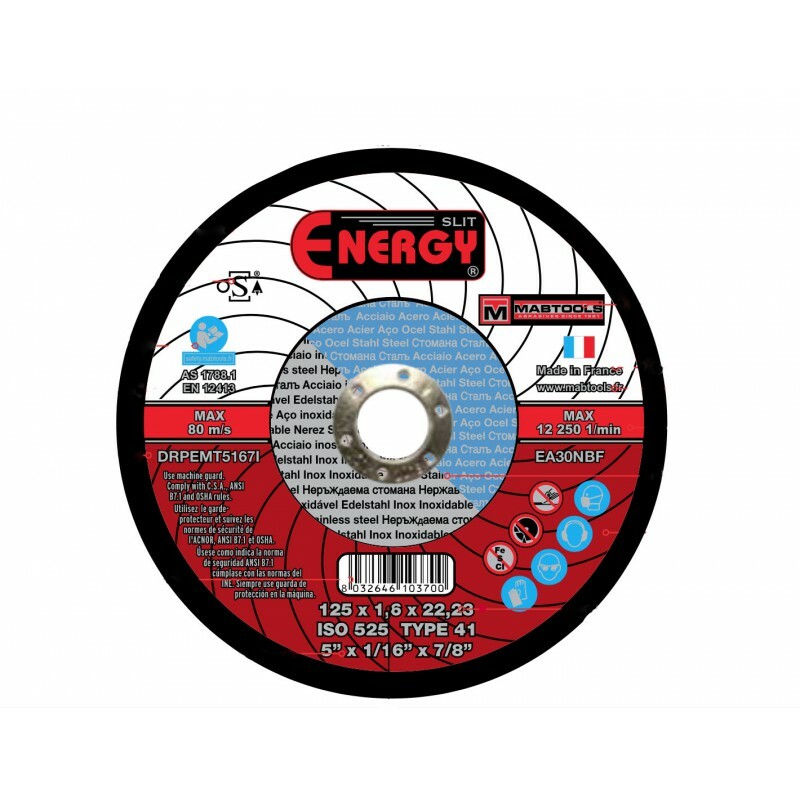 A clean, precise and burrless cut and an excellent flexibility make Energy Cut discs a good choise for operations on steel and stainless steel.. Enery range has been designed to be versatile, paying particular attention to materials and applications.